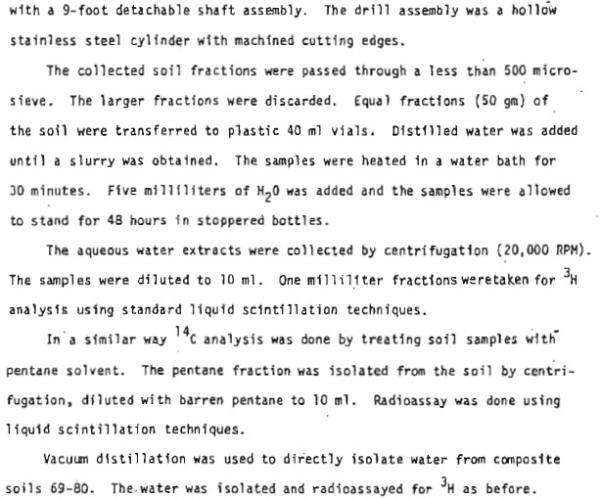 This 530-page file includes numerous reports from the 1960s on and provides a great deal of information that previously had only been available in hard copy. 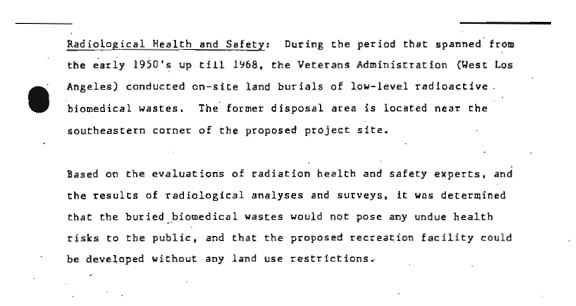 Following are snippets and comments about parts of this multi-document PDF that are of particular interest including information that the dump had previously been bored and cored for radiation — the same kind of boring that the VA now proposes to do but that had failed to find anything in 1983. 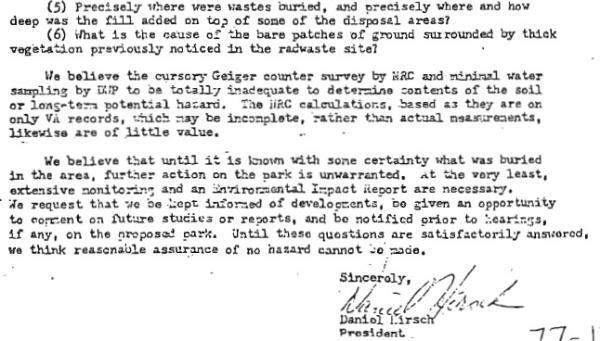 Some dump observers now advocate careful excavation of the dump rather than boring and coring. 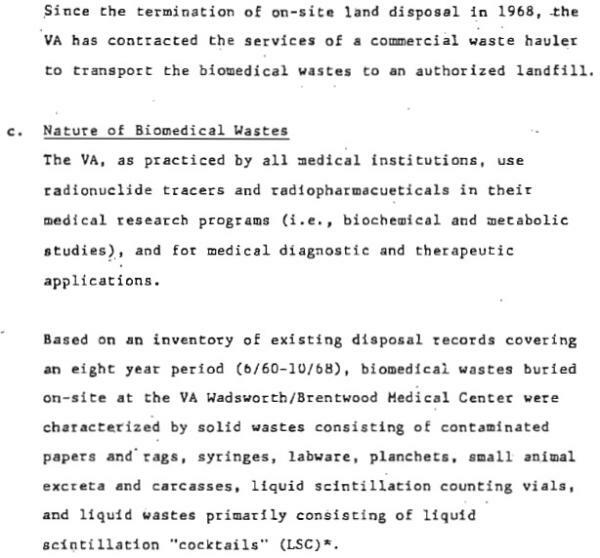 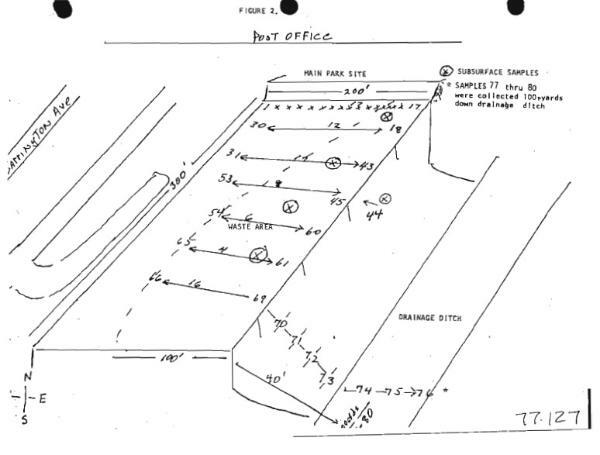 Information derived from this collection of Waxman-supplied documents shows that the dump operated from 1948-1968, which means, according to the information below, that there were no federal regulations for the first nine years of operation. 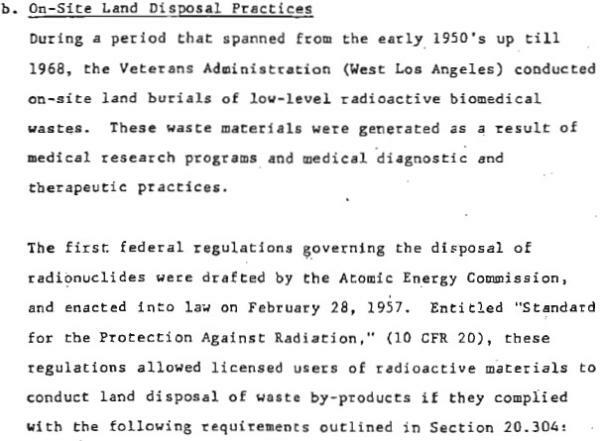 Even after the rules commenced, they often allowed simply pouring or dumping radioactive waste directly on the ground, practices forbidden today. 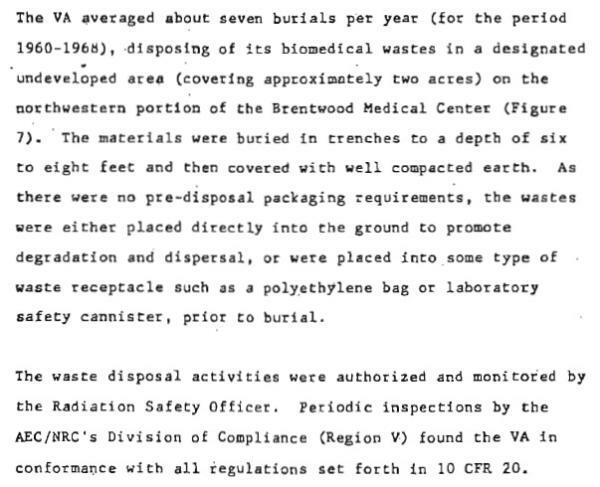 The VA is ready to spend $1 million on Phase II of its Brentwood nuke dump survey, probably starting in early 2008. 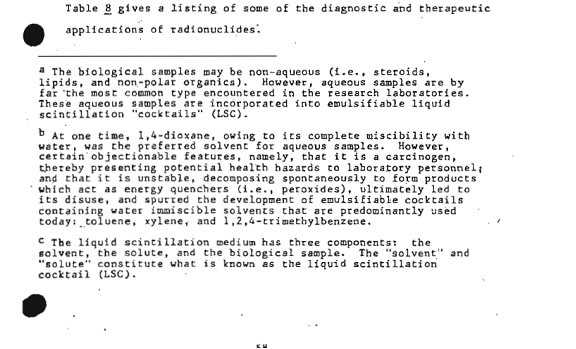 This phase is supposed to include boring. 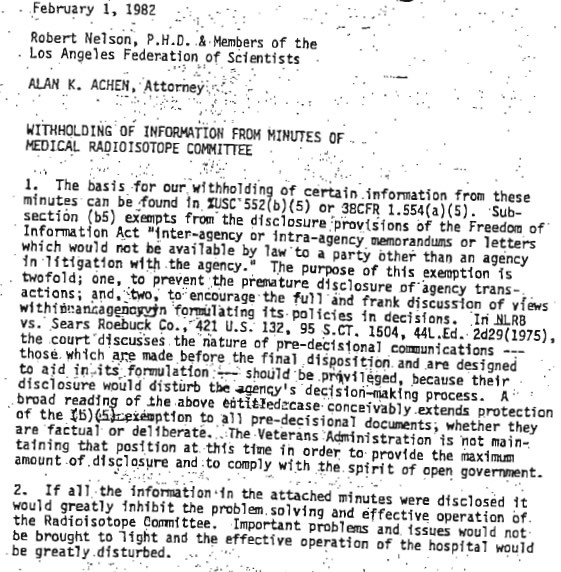 The VA has already stated that it expects to find nothing, which apparently suits it since it has made clear its intention to make the public comfortable with the reassurance that nothing is there. 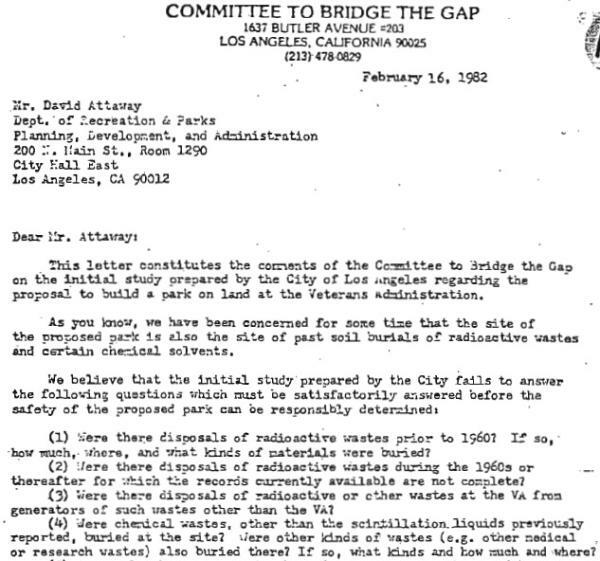 But how can the VA make this assumption considering that boring would go subsurface in looking for radioactive and chemical contamination? 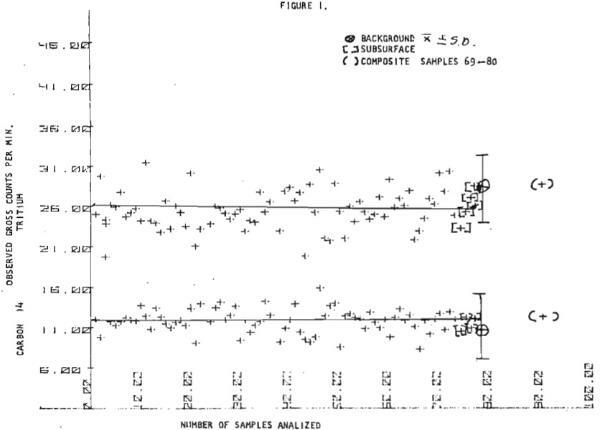 There could be at least two reasons: one is that boring has already taken place, back in the Spring of 1983, as the document below shows — 85 surface and subsurface samples gathered with nothing detected. 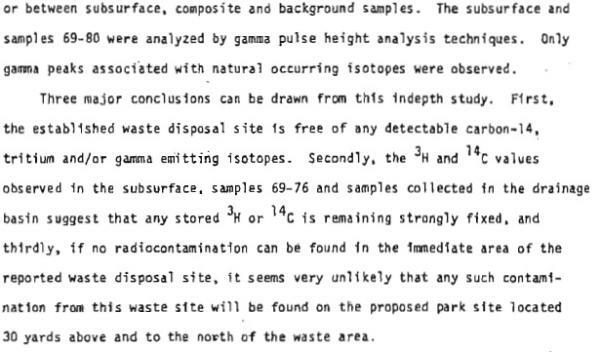 Another reason is that drilling bore holes is akin to looking for needles in a haystack by peering into it with a tube — not very effective.